The topic of health risks connected with illegal migration was discussed at a meeting between Foreign Minister Péter Szijjártó and Sorina Pintea, Romania’s health minister, in Bucharest on Thursday. 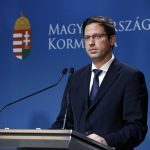 Szijjártó told MTI they were in agreement that illegal migration carried considerable health risks as migrants may harbour tropical viruses or pathogens that are rare or uncommon in Europe. The two officials agreed on purchasing vaccines against rare pathogens and viruses in partnership, adding that the two countries will coordinate their positions on health care in international organisations. Hungarian pharmaceutical company Richter’s presence in Romania was also discussed. 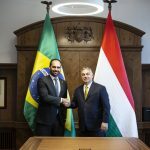 Richter operates a plant with 560 employees in Targu Mures, Szijjártó noted, adding that Hungary’s annual pharmaceutical exports to Romania total 360 million euros. Szijjártó is attending an informal meeting of EU foreign ministers in Bucharest.